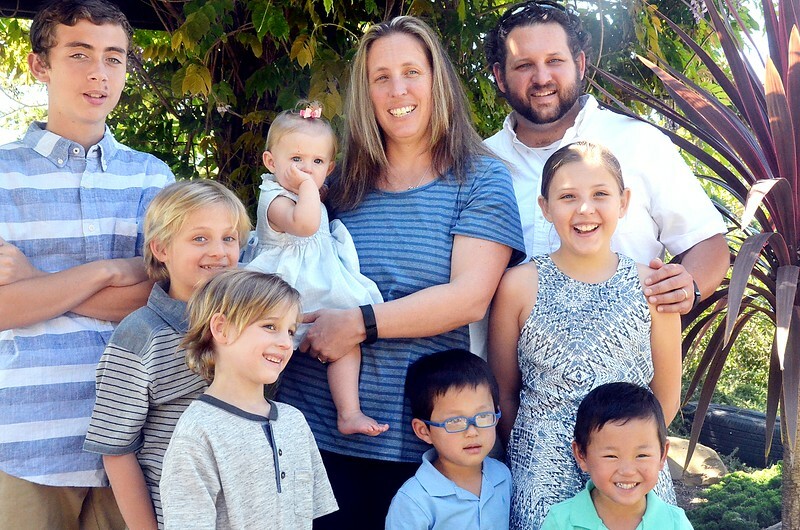 Compound Living: Papa Bill's Preschool Celebrates 40 Years! In 1975, Papa Bill (Jamie's Dad) started a preschool at the Village United Presbyterian Church in Prairie Village, KS. They're celebrating their 40th Anniversary this year! And look who ended up headlining their newsletter for the month - Papa Bill. 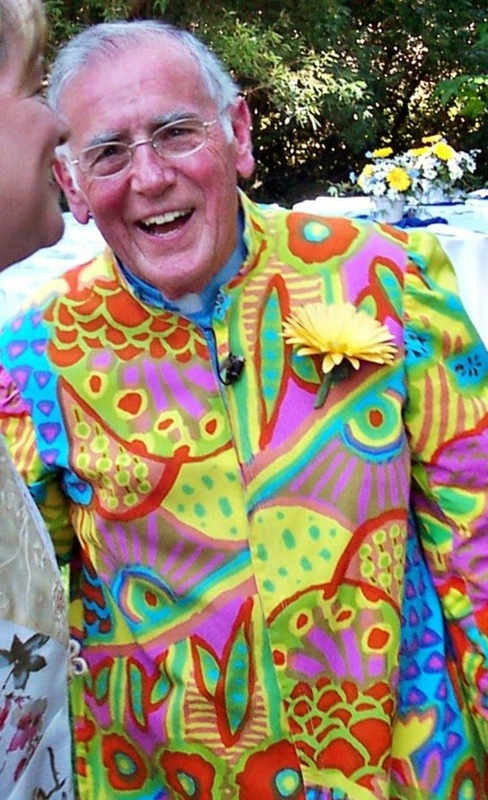 The picture was taken at Tracy and Matt's wedding where Dad officiated in his "Robe of Many Colors". My sister made that robe for Dad way back when for his use at the Village Church. As you might imagine, it was a big hit with the adults as much as with the kids! People who knew him well would request that he wear that robe when asked to officiate a wedding, funeral, etc. He and the robe are both long retired now, and both are doing well I'm happy to report. And note that face in the upper left corner of the photo. That's Lynn! And as chance would have it, it's appropriate that she would end up in this photo in this newsletter because she began her teaching career (almost 40 years ago!) teaching at this very preschool. To this day, she speaks very highly of that experience and of the High Scope curriculum that they were using then and continue to use today. It's one of the feathers in her cap that she helped get this preschool going as well. Click here for the 2-page article in their newsletter.